A C T O R Emilie plays Wren the Bard, a lead character in 3 seasons of the fantasy-comedy web-series, JourneyQuest and and acts onstage, commercially, and in local independent film. She created Tell Your Children, a short-film project based on her poetry and focusing on women in myth and fairy tale (now in festival submissions). V O C A L I S T Emilie is a mezzo soprano, who sings legit, musical theatre, standards, and rock and roll. 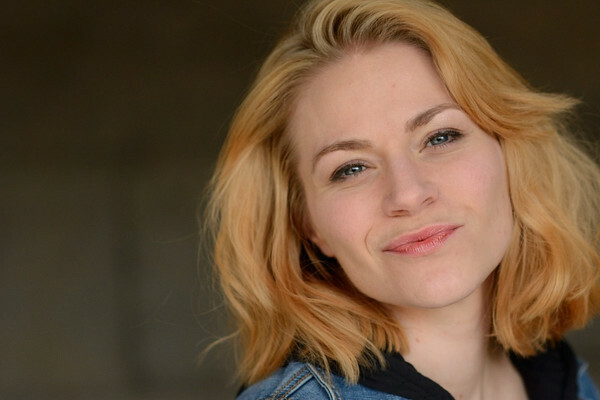 She is also a voice over artist who has voiced video games and instructional tutorials. W R I T E R Emilie is a board member of The Northwest Renaissance Poets, Performers & Publishers and hosts a monthly poetry reading series in Auburn. Her work has appeared in King County Metro’s Poetry on the Buses program; Pacific Lutheran University’s creative arts journal Saxifrage; and several anthologies, including Northwest Renaissance Poets at the Kent Canterbury Faire, Creative Disarray’s In Tahoma’s Shadow, and Sarasvati Takes Pegasus as Her Mount. Since 2012, Emilie has hosted a monthly reading/open-mic series at the (first Wednesdays at the Auburn Station Bistro), in partnership with NWR and the Auburn Striped Water poets (funded by Auburn Arts Commission and 4Culture). Emilie also leads workshops and summer camp sessions in poetry, creative writing, and theatre for children and teens. If I were a cartographer or a physicist, or even an accountant (but then again, no)… I would still spend my free hours studying the effects of words on humans. How the echoes and especially the absence of words drive us, set fire to tindered soul. It’s the only question, really, the only discipline. But instead of charts, I have poems and scribbles in every margin and seam. I have verses and refrains punctuated by tambourine. I have scenes and silences that carry me through a camera frame and across a set, in accordance to the stride permitted by the shoes this person would have worn. There are so many ways we can try to fill the empty space between you and me and all the versions of the people we might be in this room. Bet on it—I will always start with the words.